Capture your entire lifetime in one beautiful journal. Limited edition, hand-bound, 100% Australian made journals to preserve your life story for up to 500 years. You don’t need to be famous to have an autobiography. Archive Journals are a unique journal designed to record the story of your life so that your personal history can be passed on to loved ones and future generations to be treasured for hundreds of years to come. Archive Journals are created using the highest quality materials, specifically chosen for their longevity. Archive Journals are made using specialist archival paper that has been developed by the National Archives of Australia to remain usable in excess of 500 years. Designed to inspire mindfulness and reflection across your lifetime, each double page spread within an Archive Journal represents one year of your life. Be guided by our prompts, or let your pen simply flow as your heart desires, your Archive Journal will enable you to record the chronological story of your life as you live it. Each Archive Journal is made in Australia by highly experienced craftspeople with particular emphasis placed on quality to ensure each journal withstands the test of time. All Archive Journals are block printed in A4 size and are section sewn as a case bound book. Available in a classic black buckram finish or as a hand bound leather journal made by artisan book binders using the finest quality vegetable-tanned kangaroo leather. Our leather range of journals are available in three custom colours: ochre, cognac, and chocolate. All Archive Journals come supplied in a custom-made clamshell box encased in black buckram to protect and preserve your journal for hundreds of years to come. Begin cherishing your life’s story. Add your email to our mailing list to be notified when the Archive Journal becomes available in limited numbers on Indiegogo, or follow us on Facebook / Instagram. Book specifications: Size is A4 (210mm x 297mm, or 8.27in x 11.69in). Approximately 40mm (1.57in) thick. 360 pages of 120gsm paper. 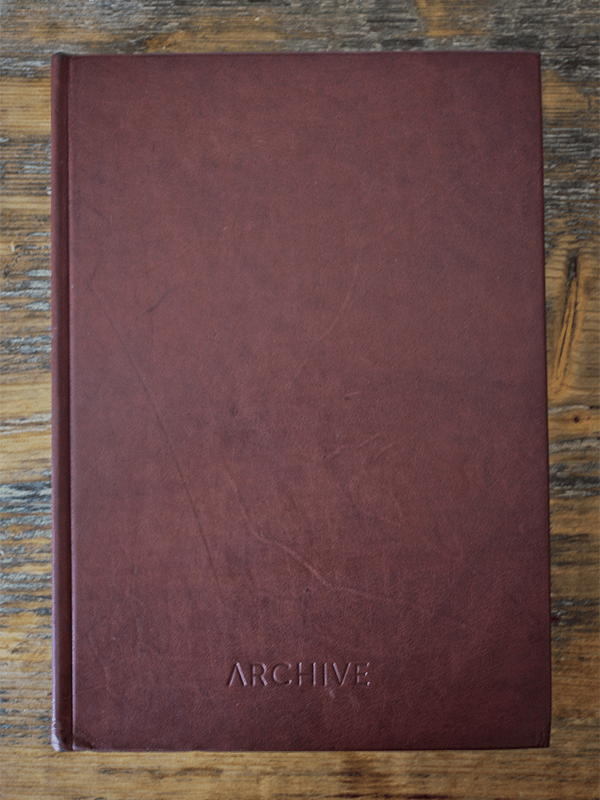 In its packaging, the Archive Journal measures 255mm x 340mm x 60mm (10.03in x 13.38in x 2.36in). Weight of journal without packaging is approximately 1.8kg (3.96 pounds), or 2.8kg (6.17 pounds) in packaging. What is inside the journal? The first half of the journal comprises thought-provoking prompts for recording your memories about the important people, places and stages of your life. The second half is for journaling, with each double page representing a year in your life. Starting at 0, this section allows space for you to record up to 110 years of your life. You will find spare lined pages at the back of the journal if additional space is required, or if you want to include other information about your life’s story. All pages of the journal are lined. How are Archive Journals made? 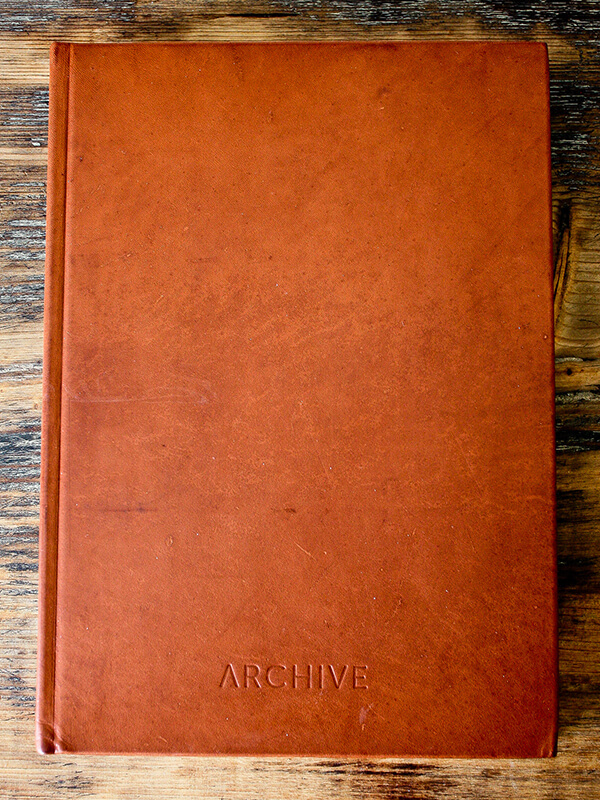 Archive Journals are made in Australia by highly experienced craftspeople. We use only the highest quality materials and production techniques to ensure each journal withstands the test of time. All Archive Journals are block printed on 120gsm A4 archival paper and section sewn as case bound books. This is one of the strongest binding techniques and enables you to open your journal flat when writing without damaging the spine. 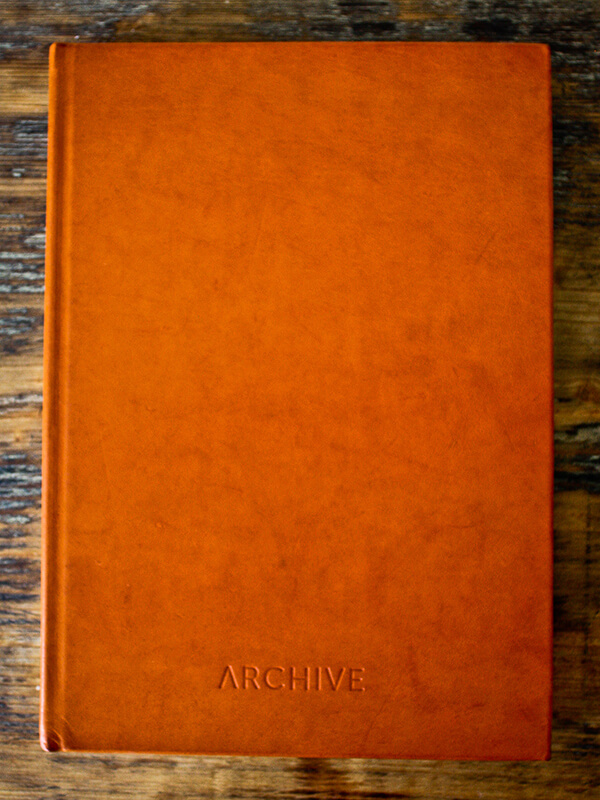 Archive Journals are available in two finishes. Our classic black buckram finish features a cotton-based archival book cloth that has been used in book binding for centuries. Our traditional leather finish is crafted with first-grade vegetable tanned kangaroo leather and is available in three colours: ochre, cognac and chocolate. Our leather journals are a truly bespoke item as they are hand-bound here in Australia meaning they cannot be mass-produced. How long does the book last? Archive Journals are created using the highest quality materials specifically chosen for their longevity. The paper in our journals is archival quality, made in Australia to the highest possible standards. Each page bears the Q Infinity logo as a watermark, being certification from the National Archives of Australia that the paper has been made in accordance with their strict criteria and specifications to ensure it will remain usable for more than 500 years. These standards exceed the Standards Australia (AS), American National Standards Institute (ANSI), and International Standards Organisation (ISO) requirements for permanent paper. Who are Archive Journals for? Archive Journals are suitable for anyone of any age. Keep one for yourself to record your own personal history or give one as a meaningful gift to someone whose life story is important to you, such as a parent or grandparent. Archive Journals make a great gift for celebrating life’s milestones such as a significant birthday, graduation, or retirement. They are also a perfect gift for parents celebrating the birth of a child. Parents can fill out the journal for the first few years, recording milestones and key events for the child until they are old enough to do so themselves. What do I use to write in my journal? There are a number of archival pens available on the market today, however, we recommended to simply use a soft graphite pencil (2B or 4B) when writing in your journal. Graphite pencils are stable, will not bleed and have been around for hundreds of years. How do I store my Archive Journal? 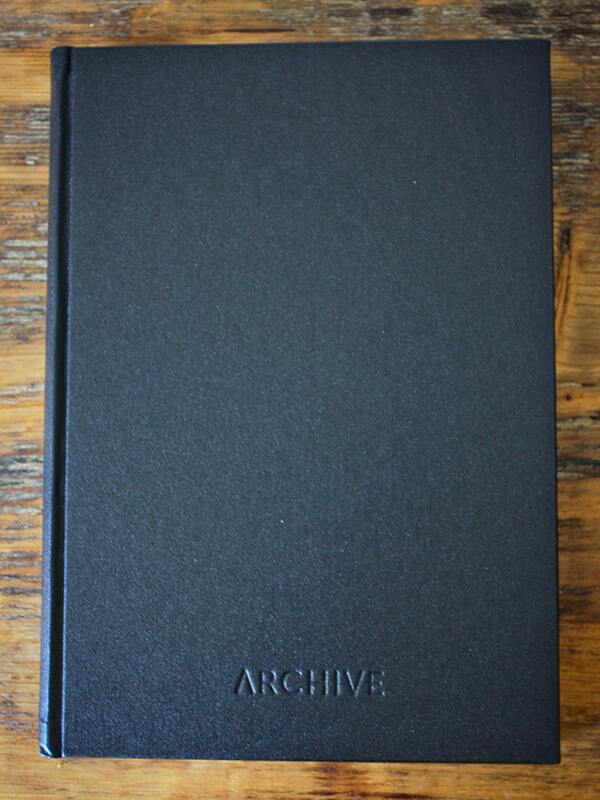 Archive Journals are supplied to you in a custom-made clamshell box which is encased in black archival buckram to protect and preserve your journal over time. When not using your journal, keep it inside your storage box and lay it in a flat position so as not to cause unnecessary pressure on the books spine. Keeping your journal in the storage box provided will also protect it from harmful environmental factors such as light and air pollution. Store your box in a well insulated and well ventilated location away from outside walls to minimise the extreme temperature and relative humidity fluctuations caused by changes in diurnal temperature and radiant heat. It is also important to keep your storage box away from sources of moisture such as kitchens, bathrooms and areas near heating systems and water pipes which have the potential to cause mould. How do I store photos in my journal? Using photos is a great way to trigger memories or to visually display something that you have described. If placing photos within your journal, we recommend simply slipping the photo between the pages, or alternatively, using archival photo corners to pin the photos in place. Avoid the use of paper clips as these can leave rust marks on the paper surface. Similarly, do not use adhesive tape, spray adhesives, or post-it notes as these are often acidic, can badly stain items and can leave a damaging adhesive residue. Why Kangaroo Leather? We have specifically chosen Kangaroo leather to make our journals for its superior strength and durability relative to its thickness. Given its unique fibre morphology, Kangaroo leather is lighter and stronger than bovine or goat leather, having 10 times the tensile strength of cowhide and being 50% stronger than goatskin. Weight for weight kangaroo leather is the strongest and lightest natural leather available. Is using Kangaroo leather humane? The harvesting of kangaroos in Australia is strictly managed and regulated by the Commonwealth Department of Environment and Energy. Refer to this industry link for further details about the kangaroo harvesting process. What are those marks on the leather in the photos? The marks on the leather are the natural features of the hide. As kangaroos are wild animals their hides will often contain scratches or scaring from everyday life. We select only first grade hides to minimise the amount of markings, however, these markings occur naturally and help to make each journal unique. Add your email address to receive occasional updates about the Archive Journal Indiegogo campaign, and product availability. We will not share your details with anyone else or spam you. Thank you, your email has been added to our mailing list. © Copyright Archive 2019. Website by Humanised.